Professionals – Understand the mechanics of standard implementations of the single asset and portfolio based risk-premia trading strategies, the basis for CTAs and Quant funds, Equities Quant funds, position taking by e-traders/market-makers and a standard set of strategies in HFT. Recognize pros and cons of various approaches to designing strategies and the common pitfalls encountered by algorithmic traders. Be able to devise new and improved algorithmic strategies. Algorithmic Traders – Recognize the reasons commonly-used strategies work, the basis for why they should, and when they don’t. Understand the statistical properties of strategies and discern the mathematically-proven from the empirical. Acquire and improve methods to prevent overfitting. Academics/students – Gain familiarity with the broad area of algorithmic trading strategies. Master the underlying theory and mechanics behind the most common strategies. Acquire the understanding of principals and the context necessary for new academic research into the large number of open questions in the area. 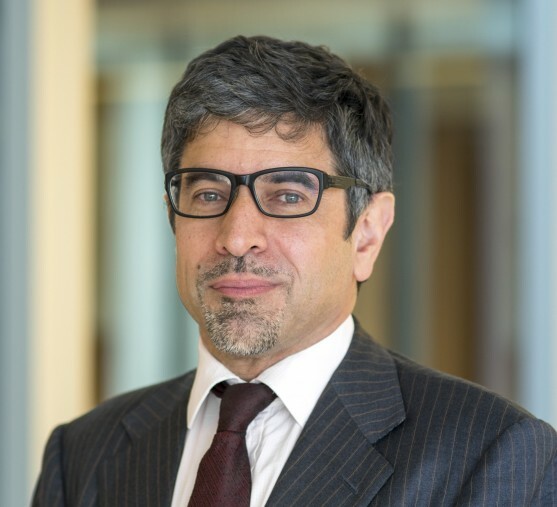 Dr. Nick Firoozye is a mathematician & statistician with over 20 years of experience in the finance industry, in both buy and sell-side firms, largely in research. He started his career in Lehman Brothers doing MBS/ABS modeling, heading teams in portfolio strategy and EM quant research, later taking a variety of senior roles at Goldman Sachs, and Deutsche Bank, and at the asset managers, Sanford Bernstein, and Citadel, in areas ranging from quantitative strategy, relative value strategy and trading, to fixed income asset allocation. He is currently Managing Director and Head of Global Derivative Strategy, part of the Quantitative Strategy Group, at Nomura. He is currently an Honorary Senior Lecturer in Computer Science at University College London, focusing on Robust Machine Learning in finance. He recently co-authored a book, entitled Managing Uncertainty, Mitigating Risk, about the role of uncertainty and imprecise probability in finance, in light of the many recent financial crises, and he is writing a book on Algorithmic Trading Strategies based on his recent Ph.D. course on the same topic offered at UCL. You will be able to receive 43 CPD points (13 hours of structured CPD and 30 hours of self-directed CPD) taking this course. Students will be expected to have a strong grounding in statistics. Time-series statistics (e.g., as taught in signal processing, econometrics) will be very useful but not mandatory. The course will be directed towards those with some finance experience (i.e., those working in finance or actively studying financial markets). Financial markets knowledge of the basics of equities, fixed income, fx and futures, and mean-variance optimisation is assumed, although we will cover some of the background material and provide more as and if requested. These are a few of the standard readings for each topic area. More in-depth readings will be provided during the course, and are available on the Zotero Group Library (shared library) Algo Trading Library. Passive vs Active, Where’s the value? When should you expect to make money? Butterflies, baskets, condors and so on. Stationarity: Are RV trades stationary? Macroeconomic trends and RV. Elements of expected returns, Decompositions, and forecasting. How much carry can you expect to take home? What should it really be worth?